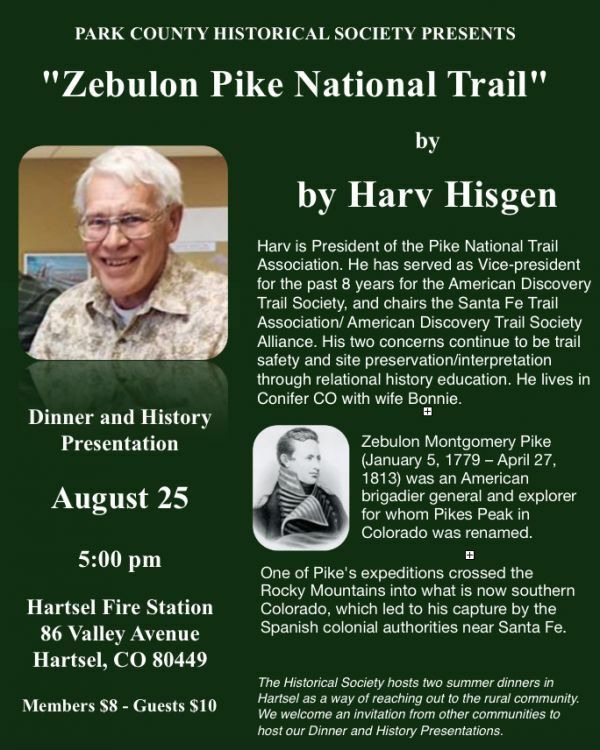 The next PCHS Dinner and History Presentation will be on August 25 in Hartsel. Come join us for good food, fine friends and a bit of history. http://www.ParkCoArchives.org - Park County Local History Archives.